There are up to 3000 people amassed in the new jungle-ghetto. according to the local associations. People keep arriving in Italy in their thousands if they do not drown in the Mediterranean, and many go North. Many women and some children sleep in the jungle because there is no more room in the shelter inside the centre Jules-Ferry. 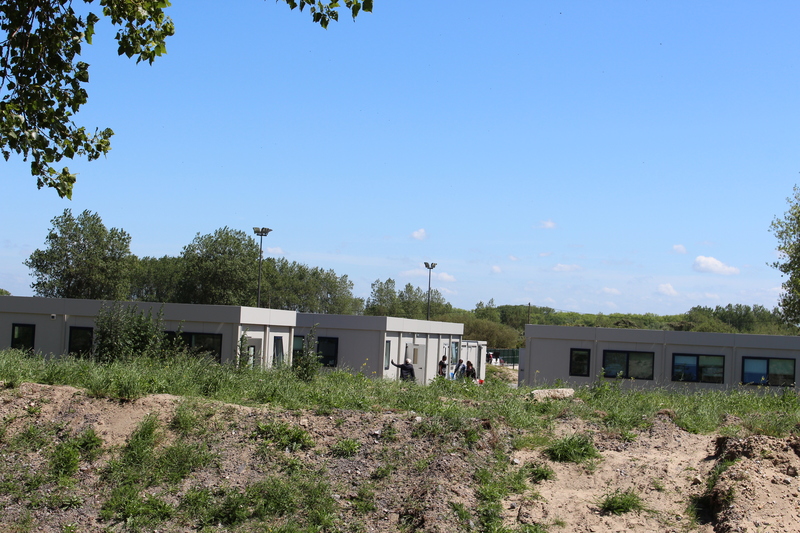 The entrance to the Jules-Ferry centre and the women and children’s shelter, just some overcrowded cabins where women do not feel safe nor free. 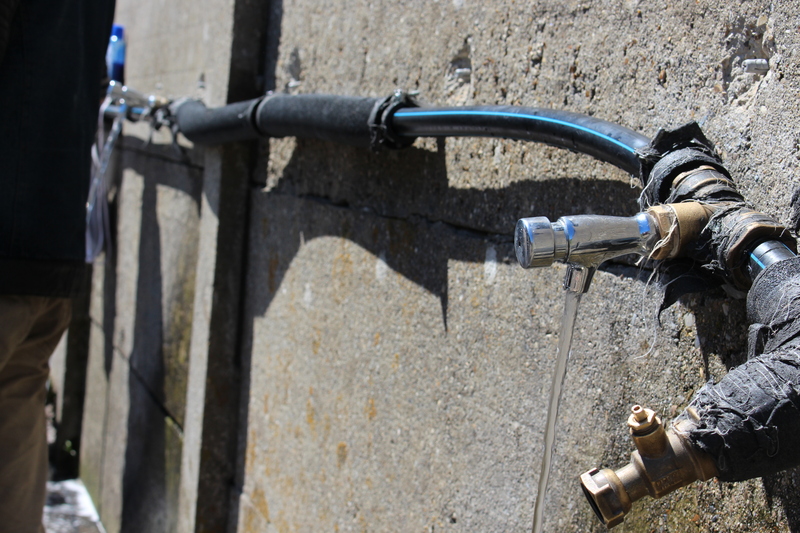 Below, the only water taps serving some 3000 people when the day centre is closed. There are very many unaccompanied minors, some very young. 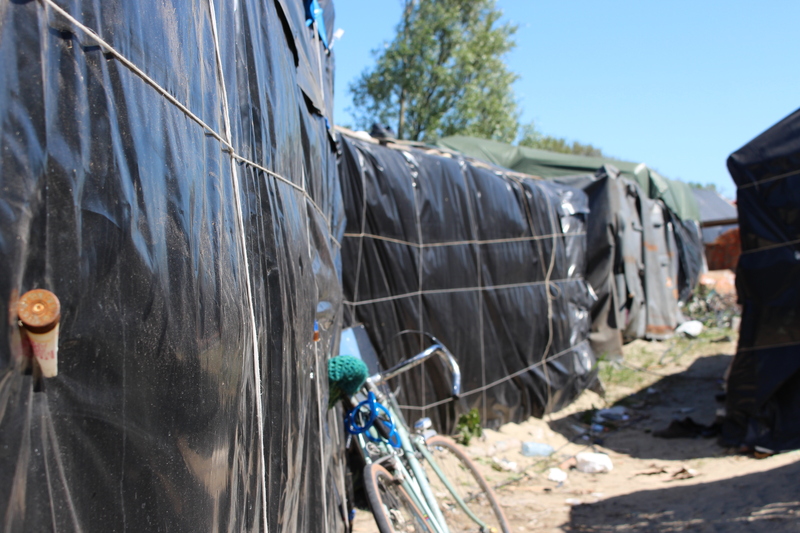 The conditions in the camp are a total shame: after three months there is still no water, no electricity, no toilets, no rubbish collections and no roads. People are not drinking enough and they are living in appalling sanitary conditions. The huge bidonville is entirely built in highly flammable materials, besides being surrounded by very flammable bush. There have already been many fires big and small, but there are no roads for the fire brigade and emergency services to go inside the camp, and no water to put the fires down. The fire brigade trade union have written in a letter that they do not like to go into the camp because they do not know the ground, and they limit themselves to do ambulance service, wanting sick and injured people to be brought outside the camp. The presence of many people of different nationalities is creating tensions, and many new people keep arriving. There have been big fights involving hundreds of people of different nationalities , and dozens of shelters have been burned down in the last of such fights, that also caused twenty people to be hospitalized. As the ground was used to dump building materials, there are huge stocks of stones ready to thrown. I have always thought that to amass all people from different nationalities and ethnic groups the same place is criminal, irresponsible, very dangerous for the people, including the numerous women, underage and young children, and totally unmanageable. Just after the fights the authorities evicted the squat Galloo and the Sudanese jungle by LederPrice; at the same time they evicted the camp a La Chapelle in Paris, 2nd June. 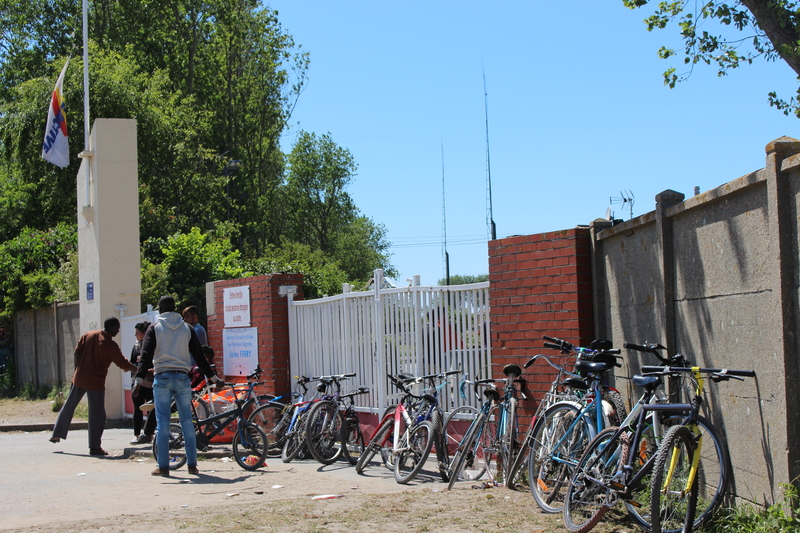 Between 150 and 200 people arrived in the new jungle on that day, including some people who had left the jungle and gone to the squat Galloo because afraid of the fights. The police surrounded Galloo by surprise in the early hours of the morning, blocking all exits. 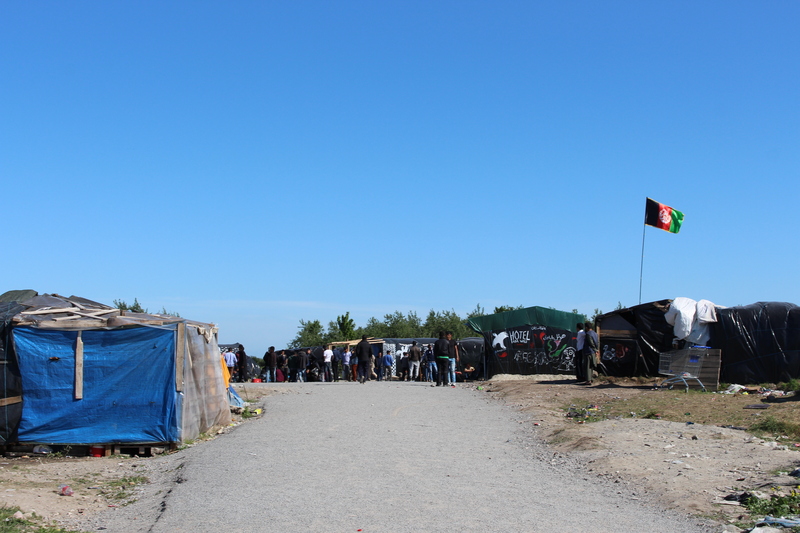 Some people say they were waken up by policemen kicking them, they were not allowed enough time to collect their belongings and many arrived in the new jungle with the clothes they were wearing. 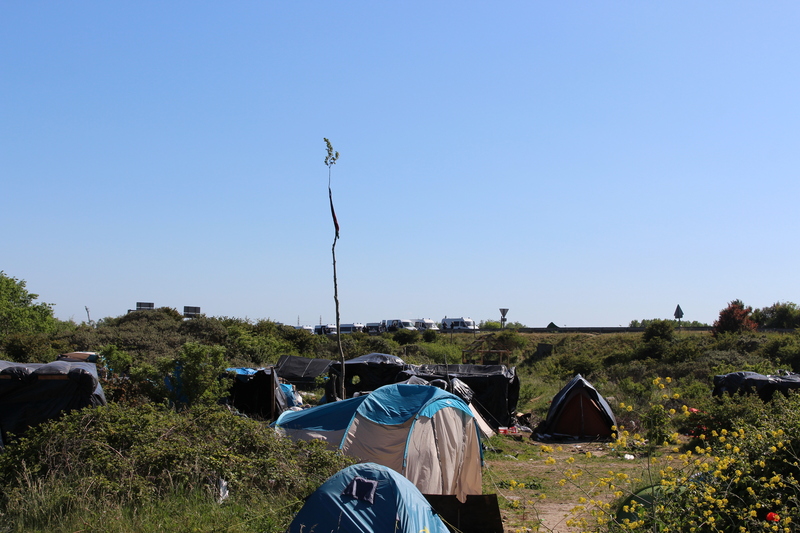 The French government say they have no money to build houses and not even to buy tents, instead they have plenty of money for building new fences to prevent people to reach the ferry port or the motorway. People are increasingly trapped. The situation is so close to an humanitarian catastrophe that the associations, who first choose to collaborate with the Jules-Ferry day centre and bidonville attached, or kept going there to help people anyway, are threatening to withdraw their help and have written a letter to the Minister. 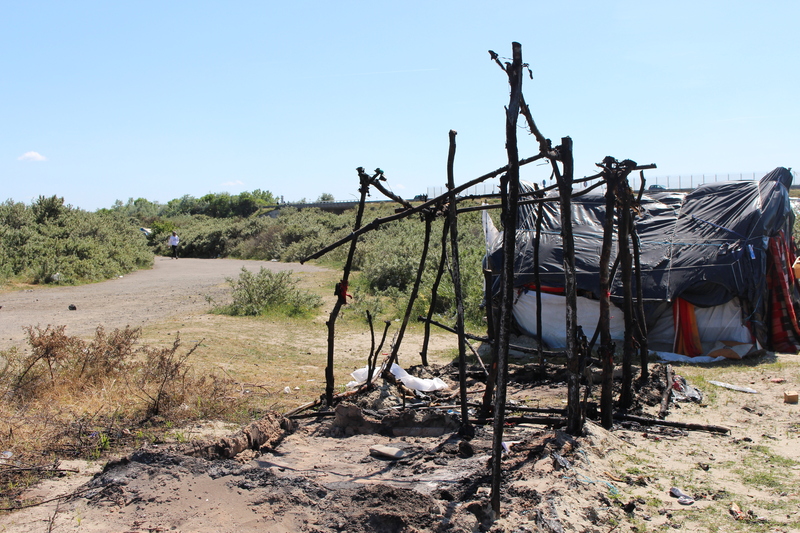 The State has not provided a single tent, saying there is no funding for that. The State provides only one meal per day ; a few more meals are being served on top of the 1500 planned but the J-F centre has no capacity to cater for 3000 people. The migrants are complaining they are hungry and they are lacking the most essential things such as blankets, clothes, shoes. The associations have nothing more to give. They mostly have no funding and rely on private donations. On Sunday morning there were six loud explosions near the bidonville, as some bombs and land mines from WW2 were found near the centre Jules-Ferry and were exploded in loco. All traffic was brought to a halt and police patrolled the motorway to prevent all access there. The last explosion.was at noon. 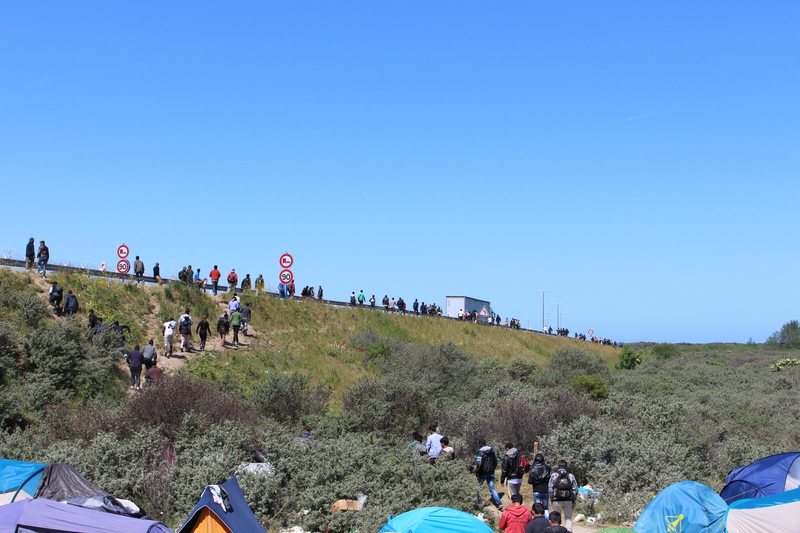 Afterwards the police left, the traffic started again and thousands of people from the camp started running after the lorries. 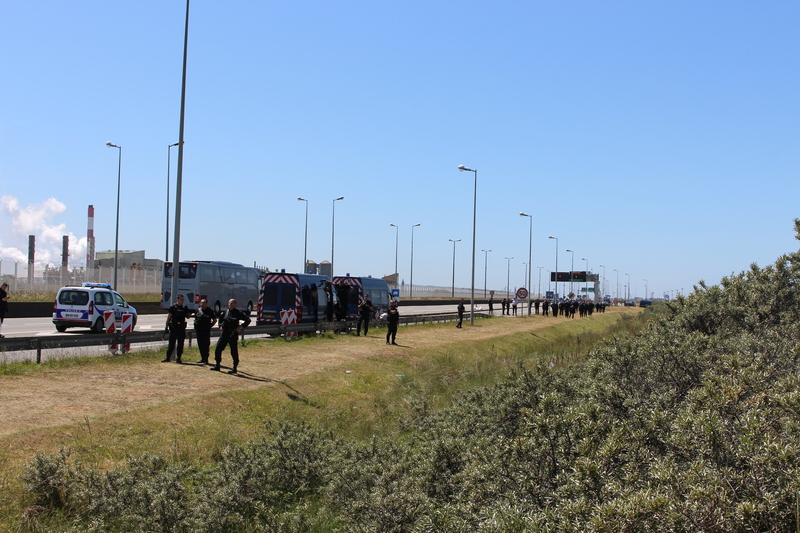 As usual they were stopped by impressive numbers of CRS and gendarmerie, with the use of truncheons, flashballs and gas. 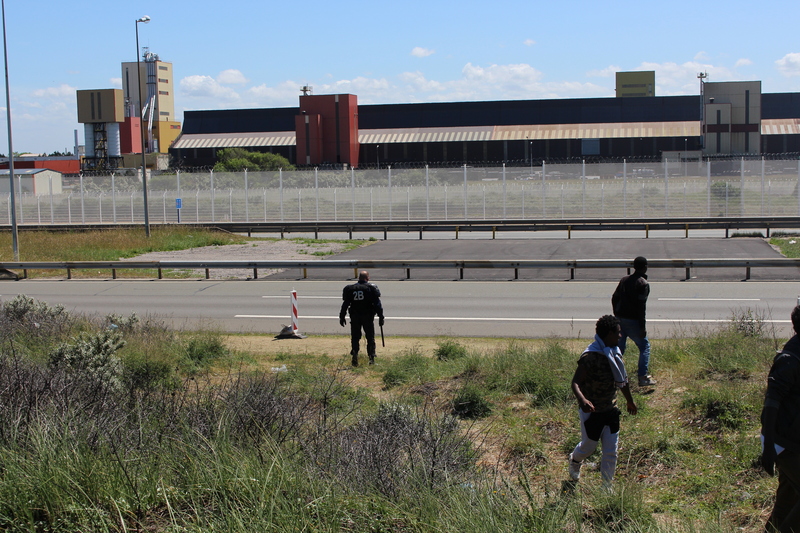 As the police were blocking the motorway and the access to the port, many people returned to the camp by walking very near the point where the bombs and mines had been exploded. There are still many bombs and land mines, probably thousands, where was the line of defense. Most bombs and mines are rusty and do not explode any more, but some are still live and dangerous. 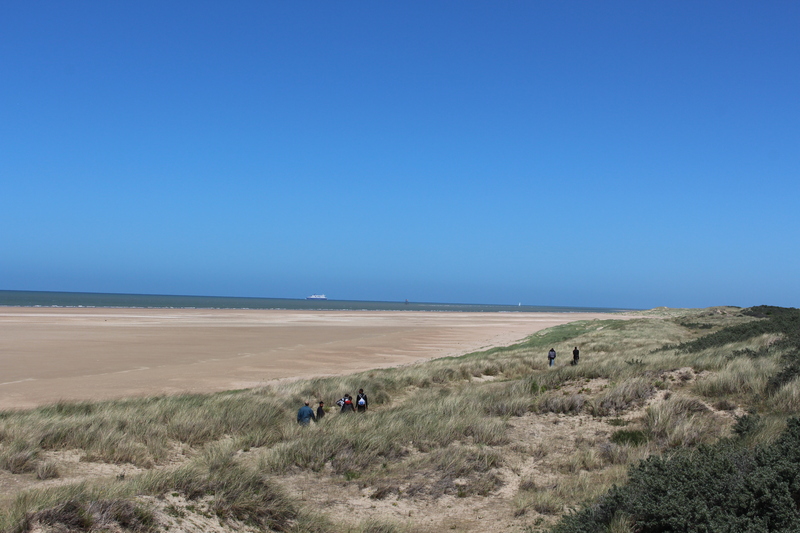 After a week of incredibly violent fights the week end passed very peacefully. Some Sudanese were helping some Ethiopians to rebuild a burned structure that had been a kitchen. Numerous young Africans were playing football with the Afghans or sitting and chatting together. Nana brought the generator so there was music and phone charging in the camp. There is great solidarity amongst communities but there is also great competition over scarce resources; crossing is very difficult and the pressure on the points of passage is huge; there are tensions due to overcrowding and problems with alcohol and drunken fights; hundreds of new people arrive every week and they do not understand where they are. Fights can erupt any moment and things can go out of hand. THE POLICE AND LOCAL AUTHORITIES KNOW ALL THIS, FULL WELL. THEY HAVE CHOSEN TO PUT PEOPLE IN DANGER. On Sunday evening at sunset there was a bush fire very close to the people’s shelters, on the side of rue des Garennes by the motorway. The fire brigade were called but amazingly they did not turn up. The people put down the fire, that was quite extended, by beating it with blankets and planks of wood. On Monday morning works started to put water on the rue des Garennes side, but it is only a thin plastic hose and it will not do more than service a few water taps like there are outside the centre Jules-Ferry. The segregation is almost complete. It is difficult to leave the bidonville to go into town because it is very far but also because the police patrol the roads around the camp. 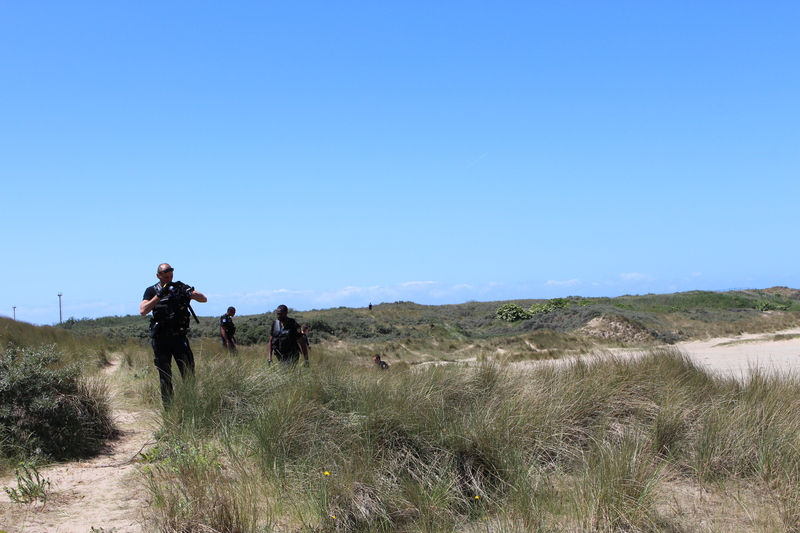 Helicopters of the gendarmerie fly above. 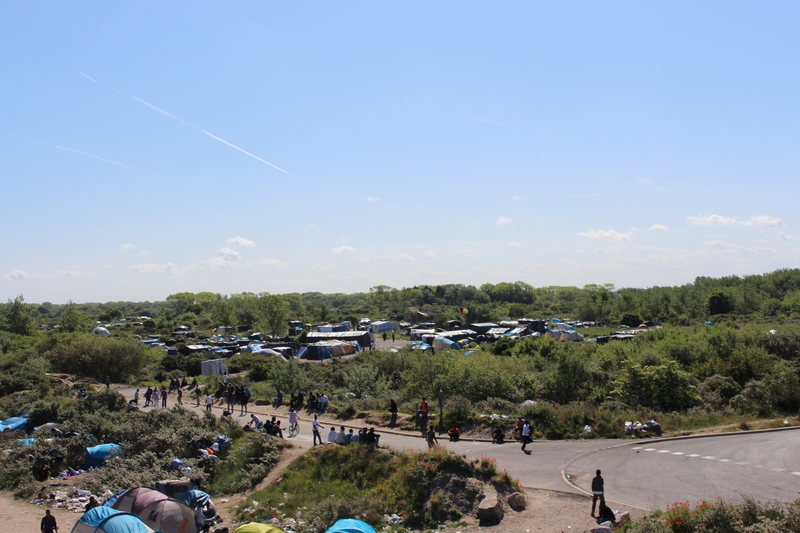 Although in theory people are free to come and go, and the police do not usually go into the camp, it resembles more and more a concentration camp. 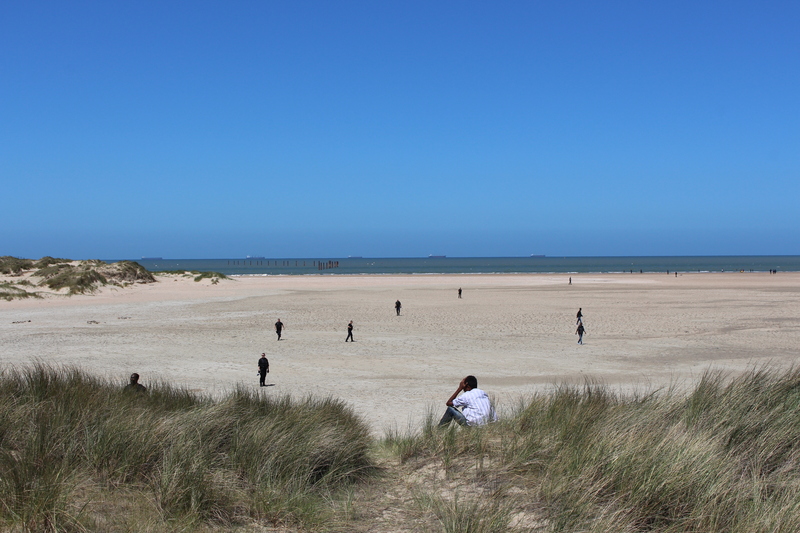 Calais is almost all white now. 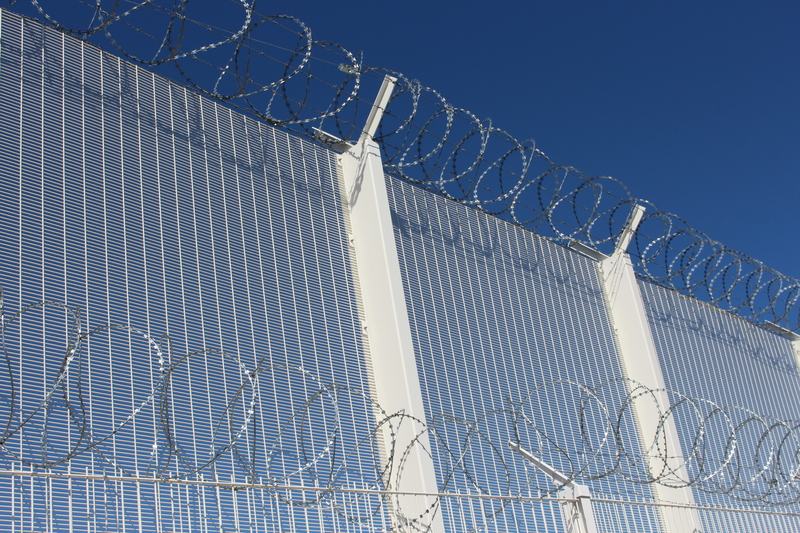 Undocumented migrants have been successfully pushed out of town and out of sight with no opposition, neither from the associations nor from the migrants themselves. The parks and the shopping centre, where migrants used to gather, are empty of migrants because if they go there they get arrested in frequent police sweeps. 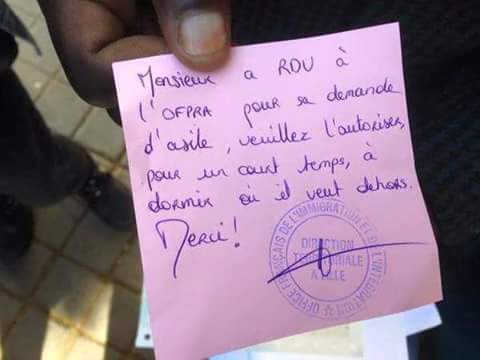 Migrants evicted in Paris were given this ticket with the stamp of OFPRA, allowing them to sleep rough in Calais ‘for a short while’! Questo articolo è stato pubblicato in Senza categoria il 10 giugno 2015 da EXODUS - watchtheborders.